Snowbee Rockhopper Wader-Grips. Gain additional grip on slippery surfaces with these wader-grips, which can be used on any waders or wading boots. 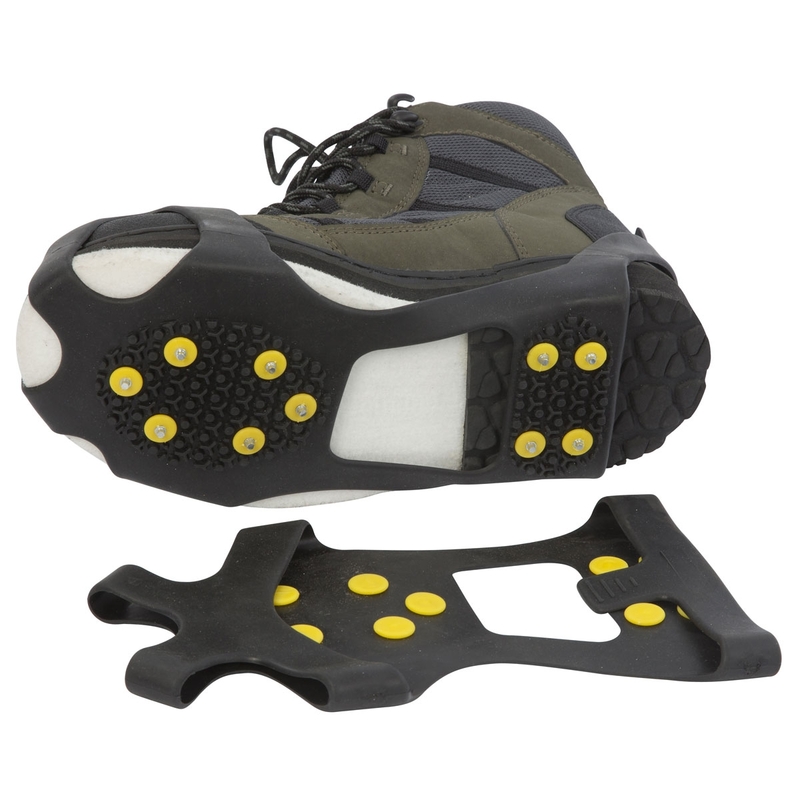 The Rockhopper Wader-Grips simply fasten to your waders or wading boots to provide the extra grip ou need for algae covered rocks or even ice. The thermoplastic rubber material is highly elastic, so they will stretch to fit a wide range of boot sizes. I bought these grips for fishing our shores, would i buy these again, no they do not fit on my boots well, im a size 9 and the stud on the heel part sit more on the bridge of the boots, not good, Snowbee say they fit a wide range of boots! don't think so, also when you stand on rocks or reefs with a 45-Degree Angle the studs will hold, and then kick off, These grips are unsafe for us sea anglers!! But i'm going to give Uttings a 10 rating! a great company a good service.